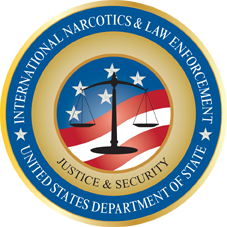 Ms. Robin Holzhauer recently finished her tour as the Bilateral Partnerships Officer for the Bureau of Conflict and Stabilization Operations (CSO) at the U.S. Department of State, where she worked with representatives from JUSTRAC and the Bureau of International Narcotics and Law Enforcement Affairs (INL). Her work at CSO involved strategically developing, coordinating, and using partnerships with other governments, the interagency, and within the Department to achieve U.S. foreign policy goals. In her role as Bilateral Partnerships Officer, Ms. Holzhauer led the Stabilization Leaders Forum (SLF), a strategic planning network comprised of eight governments with stabilization units similar to CSO and the European Union’s (EU) stabilization arm, Prevention of Conflicts, Rule of Law/SSR, Integrated Approach, Stabilization and Mediation (PRISM). According to Ms. Holzhauer, the goals of this elite yet informal group are to “create, coordinate, cooperate on, and evaluate stabilization policies and programs and turn discussion into action.” The eight member countries (Australia, Canada, Denmark, France, Germany, the Netherlands, the United Kingdom, and the United States) and the EU focus on information sharing, creating common definitions and frameworks for identifying stabilization solutions, partnering on policies and programs, and using and promoting new conflict prevention methods, such as better use of data and data analytics. One goal of the SLF is to develop partnerships of at least two-to-three members that work on specific conflict issues – an ongoing challenge in light of each member’s particular circumstances and internal bureaucracy. Ms. Holzhauer’s and CSO’s work with rule of law issues centers on topics such as restorative justice and the reconciliation processes for violent extremist “defectors.” In “defectors” work, CSO and its partners encourage individuals in violent groups to leave the organizations and give up violence, while at the same time they evaluate prospects and ways for reintegrating these individuals back into their former communities. Ms. Holzhauer notes that CSO achieved success in this method while countering the Lord’s Resistance Army in Africa, for example. It partnered with the UK’s stabilization unit to further research defections of both senior and lower level terror group members, and recommend best practices for achieving success. Local knowledge and input are critical to successful efforts, as are community acceptance and high-level buy-in for restorative justice mechanisms. The UK’s stabilization unit recently released a new report on links between stabilization and organized crime, which Ms. Holzhauer shared with INL. It offers a new perspective on trade-offs we may need to consider when balancing stabilization and law enforcement priorities. Ms. Holzhauer believes more international partnerships will develop from the Stabilization Assistance Review (SAR), a publication developed by the Department of State, USAID, and the U.S. Department of Defense (DOD). The SAR identifies principles for effective stabilization and lays out a framework for making diplomatic, development, and defense engagements more efficient and accountable to taxpayers by aligning stabilization efforts toward supporting defined political outcomes. CSO also emphasizes preventing political and election violence, monitoring and evaluating programs and policies, and using data and data analysis to better prevent violence. Through the SLF, CSO works with other governments to refine and popularize our methods. For example, CSO trained SLF members in Australia, The Netherlands, and Canada on predicting and stopping election violence. It is working with The Netherlands on an autumn conference to promote data analytics, as well. CSO’s Global Horizon Center will partner with colleagues in the Department and internationally to be a driving force for predictive and responsive data analytic work. Colleagues in Ms.Holzhauer’s office coordinate regularly with DOD, Members of Congress and Congressional staff, media representatives, non-governmental organizations, and the private sector on stabilization issues. CSO also works with the interagency, local in-country researchers, and academics. For example, it collaborates with the United States Institute of Peace’s RESOLVE Network, which includes local, in-country researchers who focus on illuminating drivers of violent extremism and identifying solutions to counter the drivers. A Public Diplomacy Foreign Service Officer, Ms. Holzhauer’s prior Embassy assignments include chief of the Public Diplomacy Section in Beirut, Press and Information Chief in Caracas, Deputy Public Affairs Officer in Pristina, and as a cultural affairs officer in Moscow. Domestically, she completed tours at the U.S. Coast Guard Academy and the Foreign Service Institute. JUSTRAC is pleased to involve experienced practitioners like Ms. Holzhauer, whose work highlights the importance of strengthening interagency and international cooperation on rule of law programming, and looks forward to working with her – after she completes language training – in her new role as Chief of the Public Diplomacy Section in Libreville, Gabon.